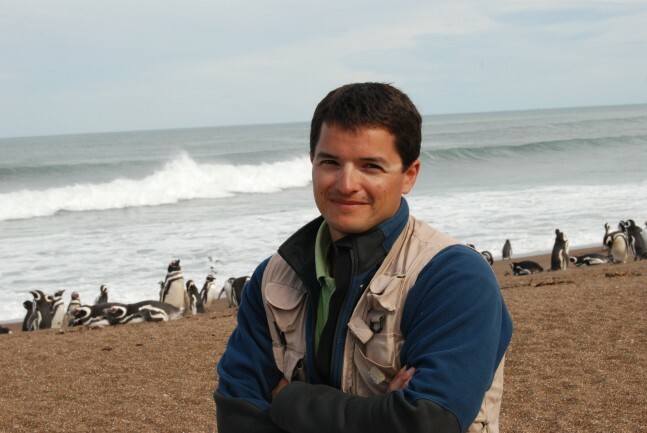 2010 Whitley Award winner, Pablo Borboroglu, is the co-editor of a brand new book – “Penguins: Natural History and Conservation” published by University of Washington Press. Penguins, among the most delightful creatures in the world, are also among the most vulnerable. The fragile status of most penguin populations today mirrors the troubled condition of the southern oceans, as well as larger marine conservation problems: climate change, pollution, and fisheries mismanagement. Pablo’s book presents the most current knowledge on each of the eighteen penguin species–from the majestic emperor penguins of the Antarctic to the tiny blue penguins of New Zealand and Australia, from the northern rockhopper penguins of the South Atlantic and Indian oceans to the Galapagos penguins of the equator–written by leading experts. Beautifully illustrated with full-color photographs of each species in their natural habitat and detailed charts and graphs, the book is an invaluable tool for researchers, conservation groups, and policy makers. It will also make great reading for anyone interested in the lives or the plight of these fascinating animals. The book can be purchased online in the UK from Amazon or internationally from University of Washington Press. in November 2012, Pablo joined WFN supporters at Asia House in London to give a fascinating talk about his conservation work with the Global Penguin Society.